Moscow, July 8, Interfax - The Russian Cathedral of Dormition in London will be consecrated on October 16 after long-term major repair. 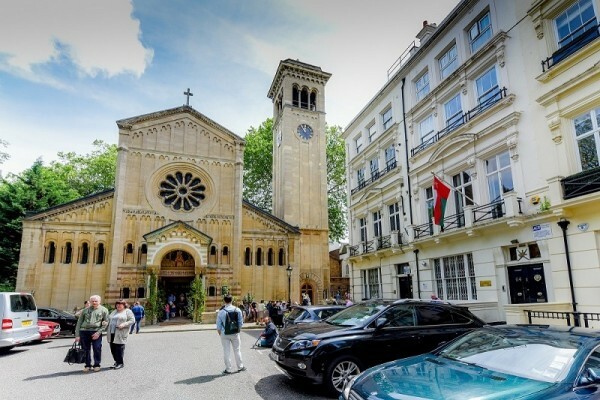 This will become the culmination of the festive events in honor of 300th anniversary of Russian Orthodoxy in the British Isles, the press service of the Diocese of Sourozh uniting the parishes of the Moscow Patriarchate in Great Britain and Ireland said. “The parish meeting confirmed the wish of the parishioners and the children of the Russian Orthodox Church living in the British Isles for His Holiness Patriarch Kirill to head the anniversary celebrations. The relevant invitation was sent by the Archbishop Elisey of Sourozh to His Holiness,” the press service said. Currently the restoration work on the cathedral is being concluded. The thorough reconstruction of the interior of the bell tower with installation of the bell-gable and casting of a set of bells, one of which is due to be decorated with the profile of Queen Elizabeth II in honor of her 90th anniversary, is also being planned.